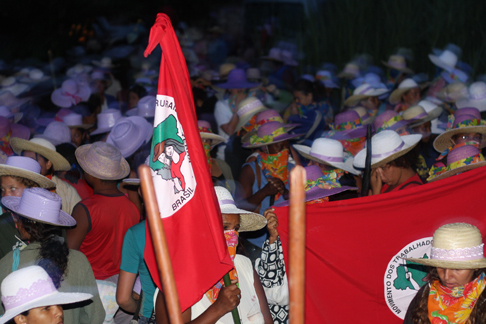 On this Monday (9 / 3), women of Via Campesina are protestng to denounce the government support given to agribusiness and transnational corporations of the export sector – especially agriculture – in the context of global economic crisis, while neglecting the rural workers, the small farmers and agrarian reform. So far, the protests were held in four regions: Central West (Brasilia), Southeast (Espírito Santo and São Paulo), South (Rio Grande do Sul and Paraná) and Northeast (Pernambuco). All are part of Day of Struggle on the International Women’s Day. Only in December, the agribusiness fired 134 thousand people across country. The agribusiness sector has in the economic crisis resigned second most in the country, despite the high profitability of the last period and the investments of the government. 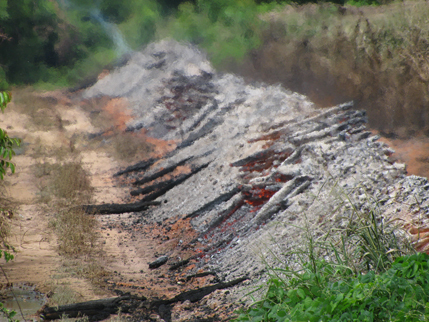 In 2008, BNDES disbursed to the sectors of mining, agriculture, pulp and paper around 17 billion Reais. Of the total of 1.51 trillion Reias forecatsed for the period between 2008 and 2011, the agribusiness has forecast only 45.1 billion Reias in investments. “The economic crisis demonstrates that the current economic model supporting the agribusiness and transnational companies submit our country to international capital and are responsible for global collapse. Now, they are asking the government or the states for help and dismiss their workers. Brazilian society and workers can not pay for the crisis of neoliberalism, “says Itelvina Masioli, of the Via Campesina. “It’s time to change the agricultural model, bringing to reality the land reform and an economic model that is strengthening the internal market and increasing the minimum wage to protect workers and guarantee the national sovereignty,” he concludes. 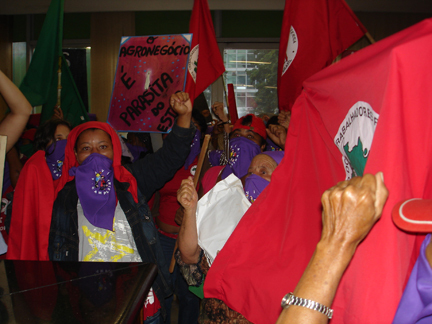 In Brasilia, 800 women from Via Campesina occupied the building of the Ministry of Agriculture, Livestock and Supply, in Brasília. The demonstration denounced the government’s agrarian policy, led by the Ministry of Agriculture, controlled by big landowners, upholding the large, transnational companies and financial capital, responsible for the crisis. The rural workers also complain about the development model imposed by the government, transnational corporations and banks for the Brazilian countryside, and charge the implementation of a model based on small farm agriculture through the implementation of agrarian reform and an economic policy geared to the generation of jobs for the population. In Rio Grande do Sul, 700 women organized by Via Campesina occupied the Fazenda Ana Paula, owned by Votorantim Celulose e Papel. The occupation began with the cutting of eucalyptus in the area. After speculation against the Brazilian currency and take losses on the financial crisis, the VCP has received 6.6 billion Reias from the Brazilian government to acquire Aracruz Celulose, by buying half of Banco Votorantim’s portfolio and a loan from the National Bank Economic and Social Development, BNDES. The cost of purchase was 5.6 billion Reias. The VCP had promised to generate 30 thousand jobs in the state and even receive tax exemptions and resources of federal, state and municipalities, the Aracruz caused the resignation of 1.2 thousand workers in Guaiba, between workers and engineers, and other VCP 2 thousand workers. The agribusiness sector has resigned second most of all sectors in the present financial crisis. Only in December, the agribusiness fired 134 thousand people across the country. In the Espirito Santo, about 1,300 women from Via Campesina occupied the Portocel, port of exports of the company Aracruz Celulose, located in Barra do Riacho, Aracruz municipality to terminate the transfer of public resources of the state to the company. Women entered the port, did an act with the destruction of part of the production of eucalyptus, and left the area. Aracruz is recieving public resources, but does not create or guarantee jobs, destroys the environment and does not contribute to national development. To save the Aracruz’s bankruptcy, the government pass through BNDES – with funds from the FAT (Fundo de Amparo to work) – 2.4 billion Reias for the Votorantim group to buy shares of Aracruz. Even with the resources to support the employee, the company does not guarantee employment, and has fired more than 1,500 outsourced workers. The case is a demonstration that the interests of private companies do not overlap with the interests of the Brazilian people. The planted area of companies in the sector of paper and pulp totals 5.5 million hectares in our country, not counting the 304 hectares of fields belonging to third parties but used by companies for the plantation of eucalyptus (because of Votorantim). Still, this was the sector of the economy that felt the changes more quickly toward the economy, due to speculation in the financial market. The Aracruz, Votorantim Celulose e Papel (VCP) and Klabin had a combined loss of 2, 7 billion Reias in the third quarter of the year. 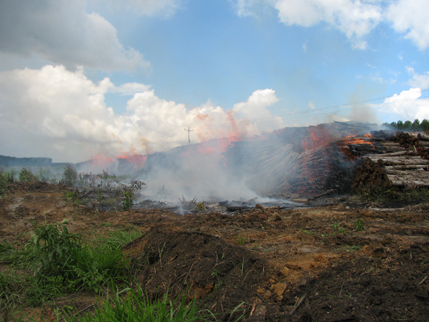 The speculation of Aracruz caused losses estimated at approximately 2 billion Reias (equivalent to the amount of revenue a year of exports of pulp manufacturer, for 2.1 billion Reias in 2007). “Companies make money on our natural resources, speculates in the financial market and, in time of crisis, dismiss workers and runs to the state government for help,” wonders Itelvina Masioli. In Sao Paulo, about 600 workers from Via Campesina occupied this Monday (09) an area of Cosan in the municipality of Barra Bonita, the region of Jau, 280 km from the capital. The group Cosan operates an area two times larger than the total number of acres intended for Agrarian Reform in the State of São Paulo: 605 hectares by the group, only 300 thousand to 15 thousand families in state and federal settlements. The unit of Barra, the place of the manifestation, is the largest sugar and ethanol mill in the world capable of crushing the cane, a symbol of the sugar-alcohol sector. According to analysis by the BNDES (2003), the plant operates more than 70 hectares of land, of which about 18 hectares are owned by the company itself, and the others are rented, covering six counties in the region. “The land of the group Cosan does not meet its social role and thus are in total disagreement with what the Constitution provides for the country. Therefore, their land should be designed for Agrarian Reform immediately, scores Soraia Soriano, Via Campesina. 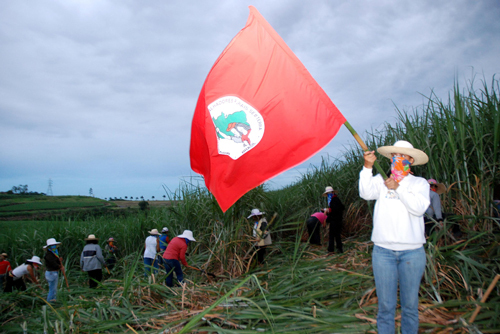 In Pernambuco, more than 200 rural workers from Via Campesina held a demonstration in Cruangi Mill, located in Alliance, Zona da Mata Norte in Pernambuco against the model of monoculture of sugar cane and slave labor in the State. The mill became one of the symbols of exploitation of rural workers when, in February, in an operation of the mobile inspection group against slave labor, were rescued 252 workers, among them 27 minors. All found in the mill, under slavery. The sugar-alcohol sector was the branch of economics that is most used in labor-slave in the year 2008. According to CPT, 2,553 workers were rescued last year in the fields of cane. This number represented 49% of workers found in the system of slave labor in the country in 2008. In Pernambuco, 529 workers were found in situations of slavery and extreme exploitation in the factories in the state, last year. One of the most emblematic case was the Victoria Mill in the town of Palmares, here more than 240 rural workers who worked in degrading situations were rescued. 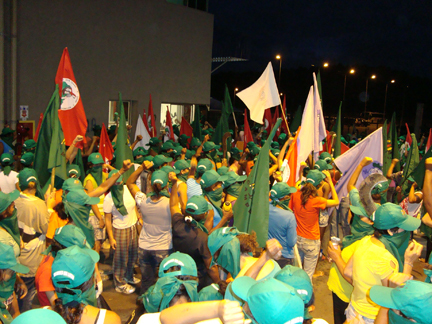 In Paraná, 1,000 workers from Via Campesina organised a march through central Porecatu, in the northern partt of the state. The demonstration began in the morning, leaving the City Hall Community Center to the central square, where a celebration was held with the sharing of food for Agrarian Reform. 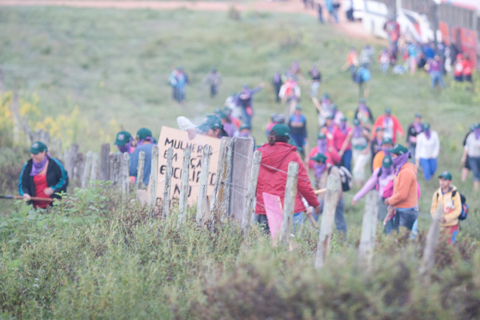 During the journey the women denounced the model of agribusiness, production of monocultures (from sugarcane, soybean, eucalyptus, pine, among others) and transnational, that destroy biodiversity, peasant culture and prevent the Agrarian Reform. The Paraná workers also made a collect for the settlement of 6 thousand families remaining camped out in about 65 camps in the state, and the expropriation of fazenda Variante belonging to the Gorup Atalla in Porecatu, where workers were in a state of slavery. The area is occupied by 300 families from the MST, since the beginning of November last year. There are in Brazil 130 thousand families camping out and more than four million households of landless. “The implementation of land reform and consolidation of a new agricultural model dependent on the defeat of the current economic model. The provision of rural credit from the federal government for the agriculture business in this season (2008/09) is 65 billion Reias and only 13 billion Reias to the family farm, with exemption of taxes on exports. Export only raw materials do not develop the country, and income distribution, ” says Itelvina Masioli, of the Via Campesina. Since the morning of Monday (9 / 3), activists from Via Campesina and People’s Assembly are mobilized in João Pessoa, in Paraíba. The actions, which continue throughout the day, mark the national day of struggle of women and international day of struggle against the dams. In the morning, around 350 women occupied the Association of Planters of Cana and the state in a symbolic gesture, cut feet and cane planting beans and corn. 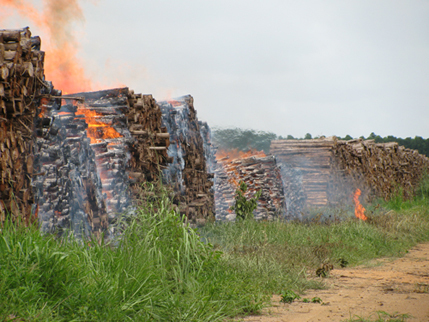 The action was in protest to the impacts of the production of ethanol in Brazil: exremely explottive and degrading conditions of work in the cane fields, the contamination of soil, air and water, the land and the concentration of expensive land, which further weaken programs of land reform, and threatens the production of foods that are consumed in the country. This afternoon, about 800 protesters march to follow in the seat of government of the state. They demand the immediate resettlement of all families affected by the dam built to accumulate water and causing the displacement of approximately 4,500 people. 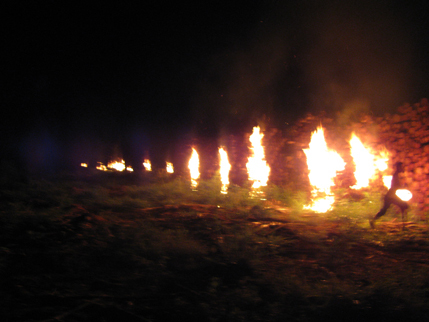 In a political action of protest, women of Via Campesina burned this Monday (9 / 3) a production of logs of eucalyptus in the Valley ranch, in Açailândia in Maranhao. The action that is part of the National Day of Peasant Struggle of Women. 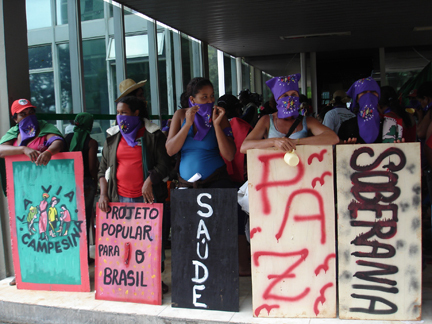 Women protest against the advance of the monoculture of eucalyptus in the area, practiced by transnational companies that are installed in the Brazilian countryside. The eucalyptus planted in the Valley is intended only to supply acoal, creating air pollution in the region and the assault on health of inhabitants of the surroundings. The coal industry is located just 800 meters from the California settlement, the result of an occupation in 1996. The more than 1.8 thousand people suffer every day of the settlement with the burning of coal by 70 industrial furnaces and the Valley is causing respiratory diseases, headaches, eye irritation and sinusitis. Therefore, it became common, settlers suffer breathing stops and starts up the spills. Last year, the company had promised install filters on chimneys and coal burning process of the interim of eucalyptus in the coal, but nothing was accomplished.